If you're a lightweight backpacker, you probably use some kind of tablet or chemical to treat your water. After all, these are probably the lightest options. However, some simply can't get past the perceived risk associated without using a more conventional and robust filter, like a pump. Unfortunately, at 10-20oz, pumps aren't light. With seals, filters, and mechanics, pumps run the real risk of breaking or clogging which would render the expensive little gizmo fairly useless. Yet, some stick with it. Well, if you were wondering where you could find the lightest pump, check out the Nano Technology 530 (www.sportsimportsltd.com/530gacamicew.html), sale - $74.95. The Nano 530 is a ceramic filter pump which can filter down to 0.1 microns which is about half the size of other commercial filters. It is only 5.5" tall and weighs an amazing 3 ounces. 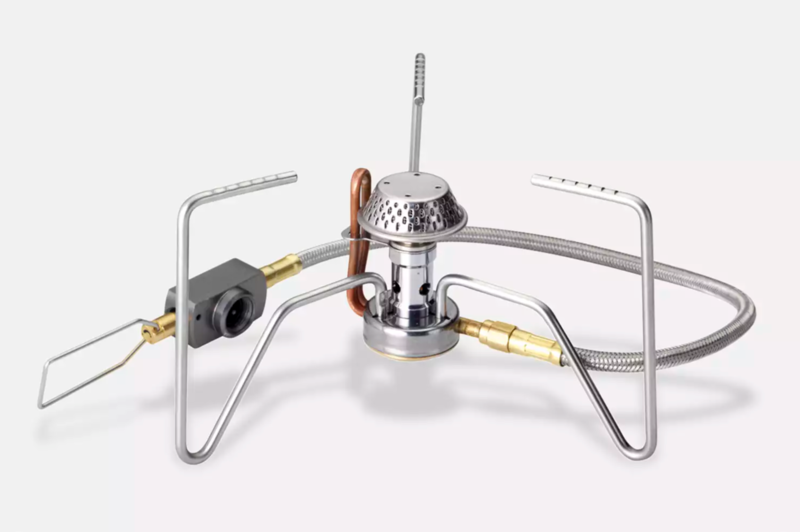 Because the filter is ceramic, it can also be cleaned which extends its life. For those that may be interested, reviews say it works, but plan on gaining little output following a lot of work due to the small size. Five minutes of pumping per liter may be expected. If you want to read up on filtering options and the nasties in water, check out my 2009 entry at http://jolly-green-giant.blogspot.com/2009/03/lightweight-water-treatment-options.html. For some odd reason, many people have polarized opinions about wearing convertible pants while backpacking. To some, they are the ideal pant because they can be easily "converted" to shorts. 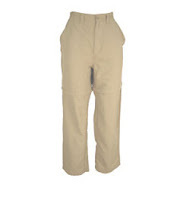 To others, they simply look dorky and have (at least) two major fatal flaws - the pant leg zippers. I would imagine these opinions vary greatly depending on whether they come from a weekend backpacker where long term use of leg zippers and other features doesn't need to be terribly reliable versus a thru-hiker who must count on his/her gear for the long haul. Historically, when not using shorts, I've used two pairs of pants when hiking. My first option is an old pair of GoLite Synergy pants which I've worn more than any piece of gear I have and they've stood up to the challenge admirably. I regret that GoLite has a tendency to stop production on great products (i.e. Reed Pants). In the winter, I wear a pair of Rab Bergen eVENT pants, although I'm not thrilled with them because I still sweat in them which causes an unenjoyable icing situation despite the breatheability of eVENT. For one reason or another, I've been interested in a convertible pant option both for backpacking and backyard activities. Over the course of the last year or so, I've probably tried options from 10 different manufacturers and was left unimpressed by most. Some are better made than others, some have better material, some are absurdly expensive for little gain, some have more pockets than anyone could every need, etc. However, one common trait was that I absolutely hated the cut. Manufacturers seem to take the measurements at the thigh area and run them straight down so the cuff size is the same as the thigh area. I assume this is done to make it easier to slide the pant leg over a shoe or boot, but ultimately it creates a lot of extra material which I've found does little more than swish around, get muddy, catch more ticks and burs, and otherwise look all the more stupid. Although I'm sure there are others, but REI's Sahara pant (a decent pant for the most part) took it a step further and added a vertical zipper to each leg to allow the user the ability to take the pant leg off completely without needing to pull it over a shoe. Yet, they still didn't lessen the giant cuff size and the two additional zippers add weight and potential problems. Just as I was about to give up on these kinds of pants completely, I found a pair I actually like...and wonderfully...they were the cheapest. Campmor (www.campmor.com) sells a convertible option they call "travel pants" for (sale price) $24.99. Considering I paid up to nearly $100 for pretty much the same thing, I'm plenty happy with the price. They come in three colors - brown, tan, and black. Like other similar options, Campmor's travel pants are 100% nylon and offer UPF 50+ sun protection to protect from UVA and UVB rays which I'm slowly appreciating the importance as I get older and watch my skin morph from the youthful features I had as a child. Pants features that I like include a design that is cut like a regular pair of pants, meaning the pant leg gets smaller in diameter as it approaches the foot so it can more easily pass as a normal pair of pants to someone who doesn't focus on the zipper seam just above the knee. Taking the pant leg off requires the user to take off his/her shoe which is otherwise fine by me to avoid all the extra fuss and material. I love the fact that they use a button at the waist and enjoy the flexibility of elastic instead of a fixed size. Snaps are uber annoying to me because they can't readily be repaired in the field and they also make garmets heavier and clanky. I like the fact that it doesn't come with a belt as I've never been a fan of lightweight nylon belts which seem to only be functional and fashionable for people of a thinner persuasion. I like the fact that I can get into the pockets without unsnapping something and they use Velcro instead of something fancier. Pockets to me need to be utilitarian, meaning I need to be able to get in and out of them and I shouldn't be able to put something of such size that it would rub against my leg or swing as I walk. I also only want a few pockets and not so many that I could store everything from my pack in my pants. 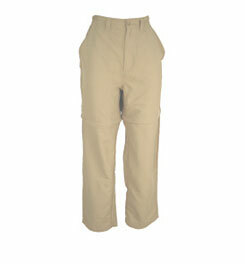 These pants are inexpensive, quick drying, and remotely fashionable with a good design, so good enough in my book. To be fair, I think the material used is likely a little less robust than others and some of the comments on the Campmor website indicate that some batches have colors that fade in time. These things don't terribly concern me. Probably undeservedly, I like to think of myself as a backpacking purest. No, I really don't know what that means either and I'm sure it carries a certain undesirable but anticipated snobbish connotation. I suppose in a nutshell it means that I backpack to get in touch with nature, myself, friends, and priorities, and all while doing my best to respect it all. This means I don't carry headphones but I do carry a lightweight shovel to responsibly answer the call of nature. I don't leave trash behind and I don't dirty water sources or make loud noises. In the end, I try to keep things as I found them and appreciate the big and the small. To this end, over time I've taken the position of supporting others who I admire or who I otherwise think are doing things (meaning backpacking and wilderness activities) the "right way". As a result I often spend my money on cottage industry manufacturers. It also means that I spend money on certain things nearly entirely....just to spend money without any real expectation of personal gain. My hope is that my contribution will help a backpacker pressing towards a particularly impressive endeavor. (Disclaimer - No need to ask if I'll be contributing to your endeavor. If I'm interested, I'll find you.). It is not uncommon for me to buy DVD's, books, gear, art, collectables, or audio recordings to this end. These may be available for free in any number of sources or even undesirable as a whole, but I purchase them merely to help out the owner and fund perhaps a small fraction of their journey. These "contributions" are made not for the quality or desire of anything I may receive but is sufficient justification for both parties to feel they are doing something more than panhandling. Recently I noticed famed long-distance hiker and general lightweight backpacking Godfather Ray Jardine put out a video. To me, despite Jardine's endless marketing of himself and all of his self-perpetuated ideas of original thought, I think he has contributed a tremendous amount to the lightweight backpacking industry. Some criticize him citing arrogance, narcissism, or just general dislike. Personally, I feel neutral about Jardine. Some things I agree with, some I don't. This is really no different than my view towards most people and most things. What I do find intriguing is the fact that Jardine gave up a promising career built on a strong foundation of education to simply - explore. His simplicity of thought is admirable and his outward expressions of love for his wife are commendable. As a guy entering the twilight of his life, he has and continues to achieve remarkable achievements which most of us could only dream of and quite frankly few could likely physically achieve. I remember listening to an interview about Jardine from a former coworker who worked with him during some of his days as a wilderness guide many decades ago. The coworker described Jardine as one giant muscle with legs and a chest twice the size of anyone he knew. Jardine lived how he wanted and found a way to do it - simply. For that, to me anyway, he's worth paying attention to. That leads me to the point of this whole entry. 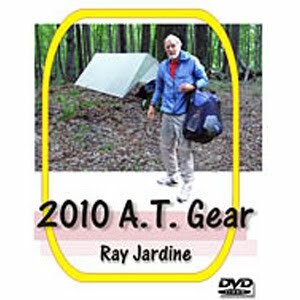 Jardine recently put out a DVD called 2010 A.T. Gear which you can purchase from http://www.rayjardine.com/ or http://www.antigravitygear.com/ for about $16 plus shipping. In it, you'll see Jardine in his standard hiking outfit toting many of his homemade products. He'll explain in detail how to set up a tarp and net tent in a highly trafficked campsite as well as a "stealth" campsite. The whole video is 93 minutes and by the time you're done you may either learn something or scratch your head and wonder what you just saw. My review of it in the context of a legitimate review is unimpressed, yet I'd have no problem buying it again or suggesting that you do too...whether for Ray Jardine, or the many Ray Jardine disciples of the world just trying to find their own bit of happiness. After all, is the content of your purchase your entire reason for purchasing it? 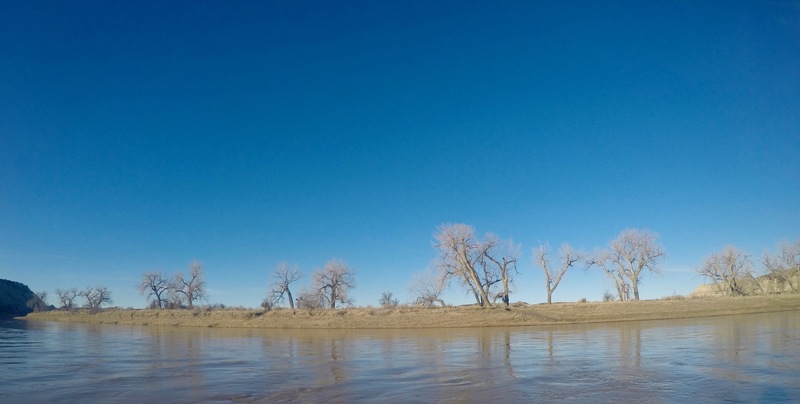 In April I'm happy to report that I've got a several day backpacking trip planned and I'm pretty excited about it because it will be the first time in 2011 I've been able to push away from work and family obligations long enough to stretch my trail legs. I was moving some of my backpacking stuff around when I was inspired to better organize four large food boxes. The result, aside from organization, was the realization that I clearly need to backpack more or buy less food. Seriously, I could outfit a thru-hiker at this point.... I probably had 200 food items and maybe 400 packets of condiments.